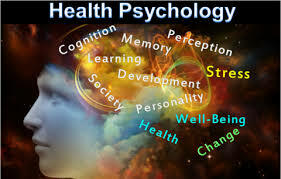 The term “health psychology” pertains to our emotional and psychophysiological responses to our personal conditions of health and illness as well as thoughts, emotions and behaviours that either contribute to or hinder our well-being. Often in the Cartesian world of conventional bio-medicine, individuals are split up as bodies and minds, implicitly implying that the mind and the body are separate entities and not connected. This is because whatever the ailment whether it is cancer, auto immune diseases, irritable bowl syndrome, obesity etc. the physical body is always treated with surgery and pharmaceutical drugs but the mind or rather the psyche is often left out and rarely given therapeutic attention. This is unfortunate on two accounts, firstly, people have very strong emotional reactions to their illnesses and physical disabilities, which need to be treated as individuals could spiral into clinical depression, severe anxiety, anger or frustration in relation to not “feeling well,” which could hamper their recovery. Secondly, our bodymind is an integrated system whose reciprocity needs to be acknowledged. Today, illnesses such as fibromyalgia as well many neuro-endocrinological disorders are all pointing towards psychogenic causes of these conditions, as is the whole field of psychoneuroimmunology which emphasises the inter-connections between the psyche, nervous system and immune system. The role of stress and anxiety in the cause and proliferation of illness ranging from cancer to coronary disease to diabetes is getting highlighted, as last year in the US alone more 300$ billion dollars were spent on stress-related medical ailments. It is interesting to note that in contrast to conventional western medicine, nonwestern medical systems such as Ayurveda and Traditional Chinese medicine have always given importance to and have inquired into the subjective states of those who were sick and have underscored a deep connection between the mind and the body. Drawing from Eastern philosophical systems of understanding the psyche-sensorium, I often work with people who are suffering or surviving from cancer or have recently recovered from heart attacks or those who have had Bariatric surgery with mindfulness-based cognitive therapeutic interventions. Mindfulness-based cognitive therapy helps facilitate my clients to regulate their disturbing emotions regarding their physical conditions and enables them to tolerate distress with more ease. Accepting and working with our emotional reactions to dis-ease has a huge impact for our recovery and ongoing maintenance of health. While not a substitute for medical attention, health-oriented psychotherapeutic attention is a very important complement and adjunct.